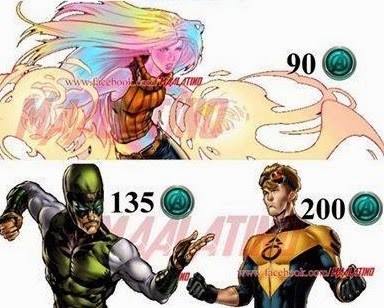 need help with the molly hayes heroic battle please!! Use streetfighting and recovering Eiso . Don't attack punisher when he used concealment . Try to kill him fast. This, so far, has to be the WORST SpecOPs mission since the very first one! Thoroughly disappointed in this one, PlayDum! Forcing us to use these "kids" only makes it almost impossible for anyone except Gold Whores to complete. Any advice or help for the fight against Sebastian Shaw? How many Gold to skip Task 17? I don't have Karolina and was not getting her until the Epic Boss fight. Don't have the time nor Training Room for training her as well when I'm trying desperately to get Molly high enough for her Heroic Battle. This is by far the WORST SpecOPs mission since Mockingbird! @Andy W Molly Hayes! Use her Lvl 6 when Shaw shows up - be sure to have Hardened e-ISO and/or Vengeful e-ISO equipped and have high Attack power on her ISO-8. Adding a high crit or increased damage a-ISO to Lvl 1 and Lvl 2 also can help. Once she does her Lvl 6 and begins to defend, on her next turn use Lvl 6 again (Tantrum) and beat the snot out of Shaw - Lvl 1 followed by as many Lvl 2 hits as possible to take him down. Need help on winning HawkEyes Heroic Battle. Any tips on which suit to have him in. It is very easy to get very far if you use your agent. @mafian234 Only 20 gold! Pretty cheap, comparing to the previous Spec Ops. any advice for obtaining iso, beating elektra in the sim, or skipping the last 2 tasks? I think I used Luke Cage cos immune to bleed BUT it was a while ago! @Michael Green The last two tasks can be skipped with gold, so daily missions (1000 XP per day) and PVP (300 XP per win). I also played normal missions and got to the 4th star i a lot of them, so it should be pretty easy to get enough gold. 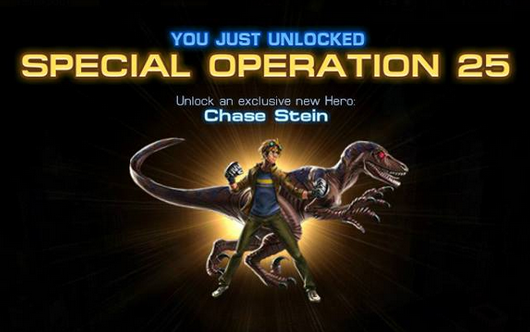 I already completed the Spec Ops and have Chase on lvl 3 already. How can I defeat Flag Smasher ????? @Robert Towns@RobertTowns You can beat him if you use your agnet, that allows you access to your supplies. Additionally you should be able to beat him if you use the prismatic shield device to protect your heavy hitters who can deal the most damage. How can I Defeat Epic Ultron Bots. Please help i dont see in mision 2. I have 24 mision complet ! @ladybird2584 I'm afraid theres only one way you can get through, either complete the entire map which will reveal him or bypass it with gold. I have a question, I'm fairly new to this game, is there any way for me to get any of the runaways without the spec ops? Or no?